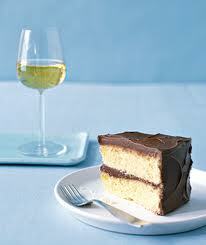 Delicious Dessert Wine - The best desserts to eat with wine! Save Room for Dessert Wine! 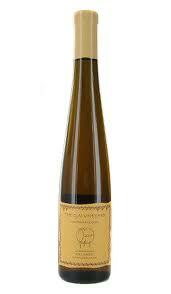 Why Dessert Wine? Well you ever notice how most people stop drinking right after the main course? Whether they are wine drinkers or beer drinkers, it just seems that when it comes to ordering dessert, the drinking stops. Why? Because wine and beer just don’t go well with sugary sweet desserts. People are reluctant to order these wines but fall in love when they do get them. These wines are sweet, potent and full of flavor. They compliment dessert dishes so well or make a great dessert on their own. They are sold in smaller 375ml bottles but you can find them in larger bottles as well. An average pour is 2 ounces so they are served in smaller glasses rather than your typical wine glasses. Like dinner wines, the white ones are generally served chilled. Red ones are served at room temperature or slightly chilled. They take place of the after dinner tea, coffee or espresso. By the way, if you drink coffee, be prepared to shut down your palate, because you will not be able to taste many nuances after that oily java coats your taste buds. Just because everyone else gets coffee with dessert doesn’t mean you have to. Wait until you are completely done eating if you need that pick-me-up. The grapes in these wines are picked late in the harvest to preserve residual sugars. The sugars have been concentrated but so has the acidity, so the sweetness finishes cleanly. These delicious wines are sweeter, richer, and thicker than table wines. As a rule of thumb, these wines should always be sweeter than the dessert it accompanies. Examples include, fortified wines like sherry and port, and late harvest wines, which originated from grapes that have shriveled a bit, concentrating their sweetness. 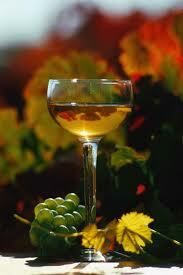 Some of the world’s popular sweet wines include Gewürztraminer, Vermouth, Port, Sherry, Cream Sherry, Madeira and Marsala. These wines contain flavors like peach, oak, almond, and herbs. They add a tang to even the lightest dessert. 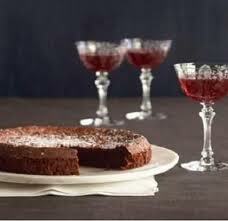 Very sweet desserts tend to overwhelm any wine, so it’s best to enjoy a dessert wine with desserts like pastries, cake, fruity desserts and ice cream. They are especially good with fresh bakery sweets and fruits. Now chocolate is a different story! 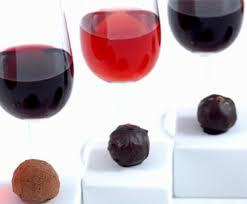 I think chocolate goes very well with many wines, especially a nice red like Cabernet Sauvignon. Oh and even with chocolate cake! Yummy!